Australia reportedly has around one million sleep apnoea sufferers. The condition causes the air passage in the throat to become blocked during sleep, which in turn causes people to stop breathing. Sleep apnoea can lead to high blood pressure, stroke, irregular heartbeats, heart attacks and diabetes. Devices that push the lower jaw forward to open up the airway or a face mask that creates a continuous flow of air are just some of the current efforts to treat the condition. It’s been almost a year since we reported that researchers from the Commonwealth Scientific and Industrial Research Organisation (CSIRO) and dental company Oventus were working on developing a revolutionary mouthpiece that prevents life-threatening pauses in breath during sleep. 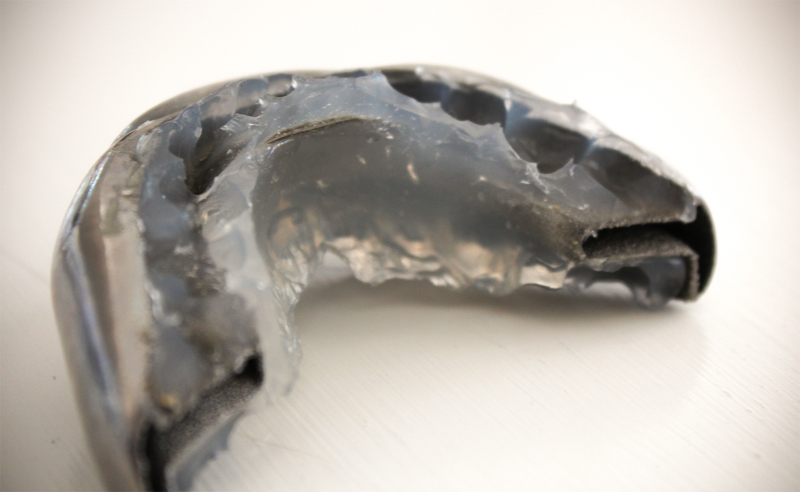 The result of their efforts is the customised 3D printed mouthpiece printed from pure titanium and covered with a medical-grade plastic coating. The Oventus Clearway Device – a “duckbill” which extends from the mouth like a whistle and divides into two separate airways that allows air to flow through to the back of the throat – is now available on the market, reveals CSIRO. The idea came from Brisbane-based dentist Chris Hart who approached the CSIRO for help to develop the device. The Clearway Device is initially only available through the Turbot Street, Brisbane practice of Chris Hart, with practices in Sydney and Melbourne; however, interested patients or dental or medical practices can find more information on the Oventus website [external link]. You can get the mouthpiece for around $1,500, but the developers say that the price may vary from patient to patient depending on individual requirements, healthcare funding and insurance cover.